Obituary for Allan Claude Prichard | Sykes Funeral Home & Crematory, Inc.
Funeral service for Allan Prichard, age 74 of Clarksville, will be Tuesday, April 9, 2019 at 2:00PM at All Saints Church 863 Salem Road Clarksville, TN 37040. The family will receive friends on Monday, April 8, 2019 from 3:00 PM to 7:00 PM at Sykes Funeral Home. 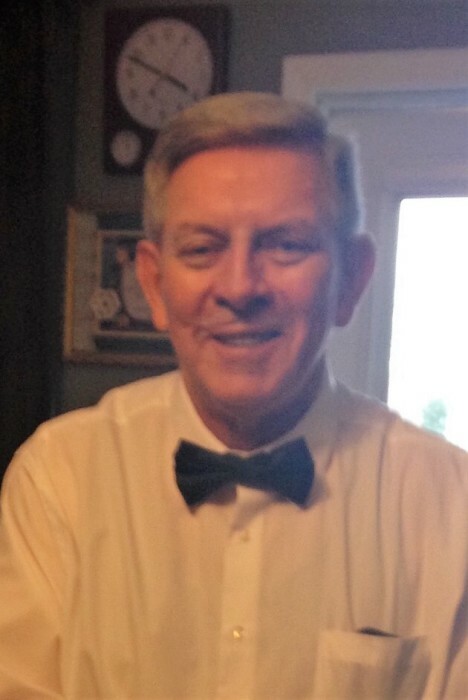 Allan passed away on Tuesday, April 2, 2019 at Tennova Healthcare. He was born on March 30, 1945 in England to Claude and Joan Highmore Prichard. Allan was a retired police officer from the state of Arkansas and a member of All Saints Church. His family was his life and he will be missed by all who knew him. In addition to his parents, Allan is preceded in death by his brother, Kenneth Prichard. He is survived by his loving wife of 10 years,District 12 Montgomery County Commissioner Lisa Prichard; children, Karen (John) Bradfute, Robbie Prichard, Steven (Crystal) Prichard, William Prichard, and Michael Prichard; siblings, Lucille Pohl, John Prichard, and Peachy (David) Delgado; step-son, Nabil (Carla) Joyiens; 11 grandchildren, 3 great-grandchildren, 3 step-grandchildren, and 1 step-great grandchild. Please visit Allan's guestbook at www.sykesfuneralhome.com and share a memory with the family.